Uglyworld #2166 - New Cookies Testerings - (Project Cinko Time - Image 363-365), a photo by www.bazpics.com on Flickr. One of parts timering jobbers is to be an officials testerer fors companies who is makerings new types of cookies and needs to gets feedbackers, whethers goodies or baddies, abouts their new producters. 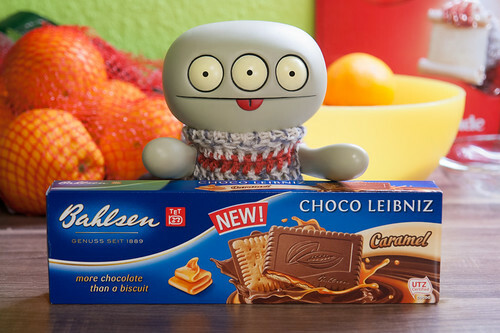 Todays for exampler, I receivereds this box of Caramelers flavoured biscuiters, and as soons as my dinners has hads enough timers to goes down properlies I will be tuckerings into the wholes packeter and then writes up a detailereds review of these new cookies. It's a toughs life, reallies!